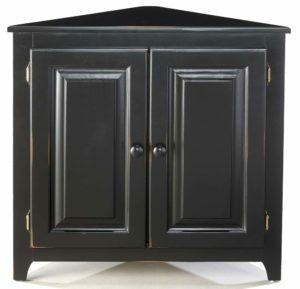 Model number CU-130 Napa Wine Cabinet by Whitewood Industries. 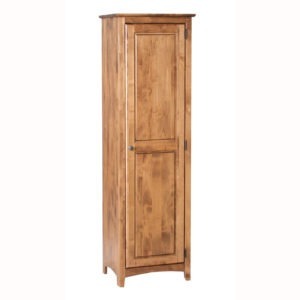 This solid wood cabinet is a great addition to any home. 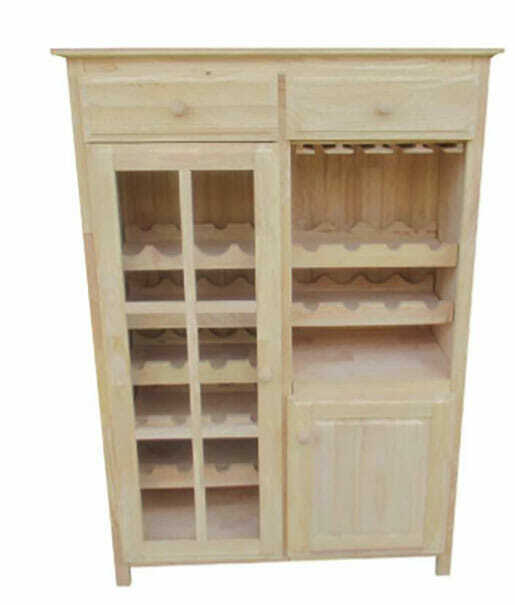 It is made out of solid Parawood that will stain or paint beautifully. 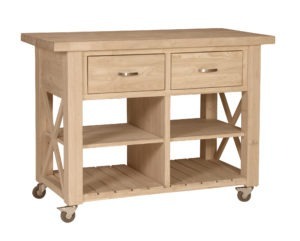 The cabinet features two spacious drawers on full extension ball bearing roller glides. 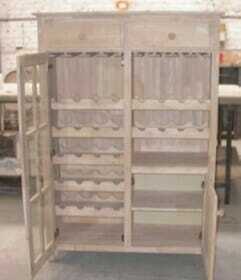 There is enough wine storage for 28 bottle on the adjustable shelves. The glass door on the left hand side has a mullions and the lower door on the right has a raised panel. Both doors sit on European hidden hinges. Sold and shipped disassembled. 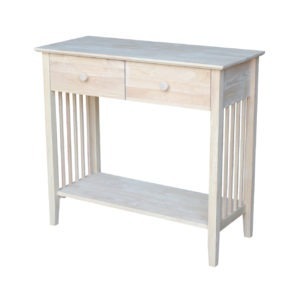 DRAWER GLIDES 14″ FULL EXT.